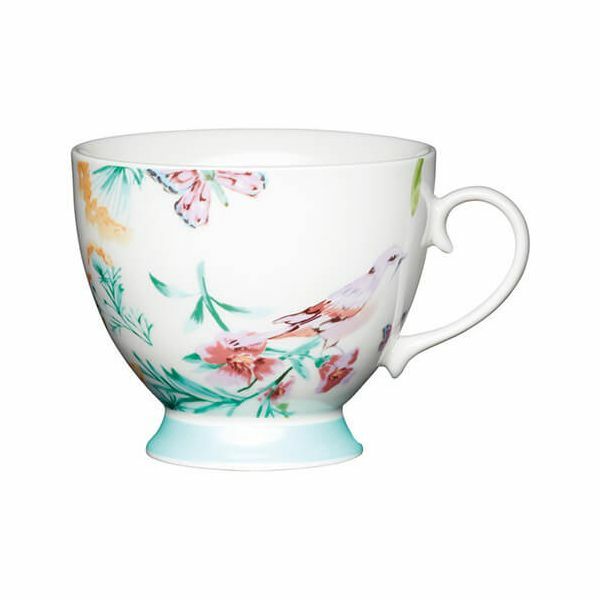 Featuring a white background with floral designs and birds this pretty mug is perfect for gifting or for home as part of a matching collection. The white birds KitchenCraft mug has a capacity of 400ml. Excellent quality. Delighted with the design and colours. Largish capacity which is ideal for us as we prefer not to be topping up a small cup 🤔 A bit heavier than expected but not an issue. Well packaged and arrived in time.